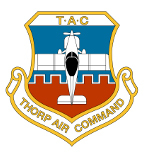 Thorp Air Command - T18.net • View topic - Poll: Do You Fly Your Thorp in IMC Conditions? Poll: Do You Fly Your Thorp in IMC Conditions? Do You Fly Your Thorp in IMC Conditions? Post subject: Re: Poll: Do You Fly Your Thorp in IMC Conditions? Due to stability and responsiveness, I would rather be in the T-18 than a C-182 in actual IMC. Flown the Thorp many times IMC. Auto pilot helps, but currency trumps all. HEY !! WHAT'S THAT MOUNTAIN GOAT DOING IN THE CLOUDS !!! Yep...that's the one ! Still funny after all these years in a sick sort of way . I plan to make mine IFR and with an autopilot or wing leveler at least eventually. The plane is pretty stable. I, like Cubes plan to punch through Cali fog layers, especially along the coast. I wouldn't like to be in the soup for a long time in it, but think it will be an okay platform for some IFR stuff for experienced folks. I've flown mine (actually 3 of them) in IMC on numerous occasions. I agree, completely at home and conformable in the Thorp in the soup ... much rather be in it that anything else. The T-18 is (as always) a predicable and honest platform.